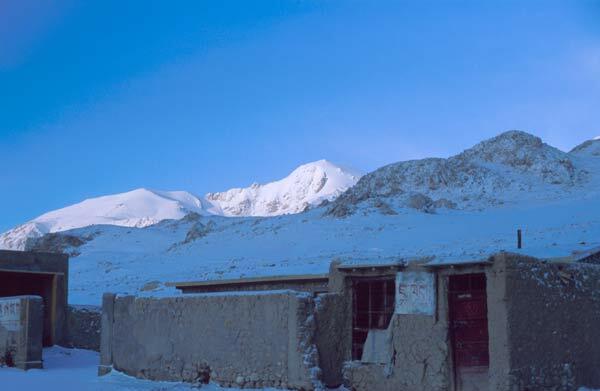 The Transhimalaya road leaves the 'northern route' from Amdo to Ali at Donco and joins the 'southern route' from Lhatse to Ali at Raka. Coqen is the only bigger (Chinese) town where a wide selection of supplies is available, the other settlements are Tibetan villages and wooden shacks as truck stops - you can usually still buy packages of instant noodles and biscuits there. A traffic-control checkpoint is located at the bridge over a tributary river to the Sama Tasangpo just a few kilometers south of Coqen - no problems there coming from the North. 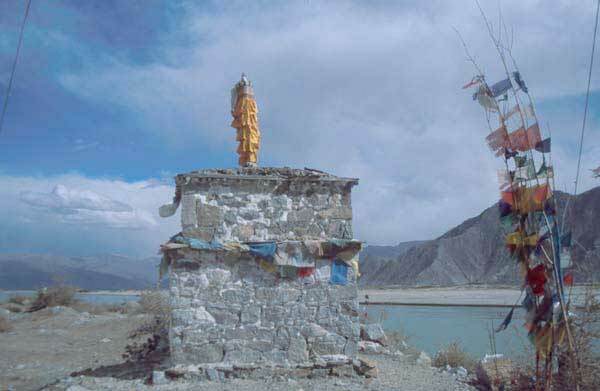 The northern route goes over two high passes on dirt road and meets the paved road of the Yarlung Tsangpo valley at Dagzhuka. 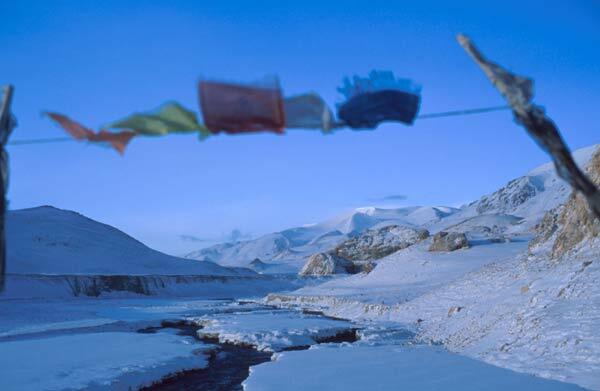 The central route (road 318) follows the Yarlung Tsangpo valley, it is the road with most traffic. It is currently (2005) being under construction and it will be a brand new paved road by the end of the year. 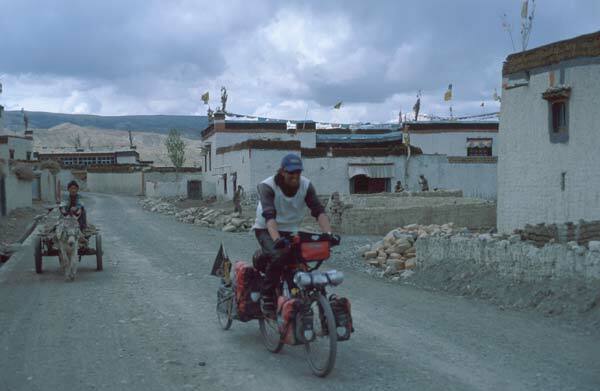 We cycled on this route from Shigatse to Lhasa. The Yarlung Tsangpo valley is quite spectacular. We were lucky that in early 2005 traffic was rerouted via the northern route due to road works. 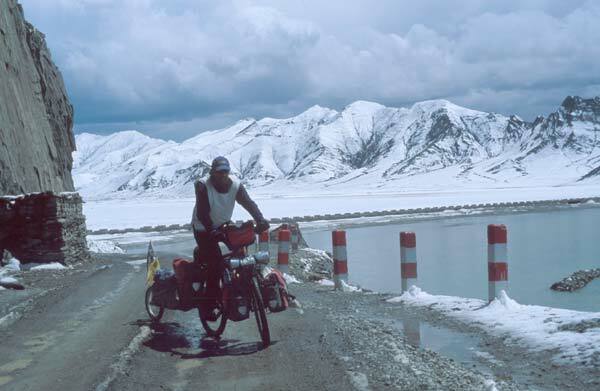 The southern route via YamdrokCo, it is the most popular one among cyclists. 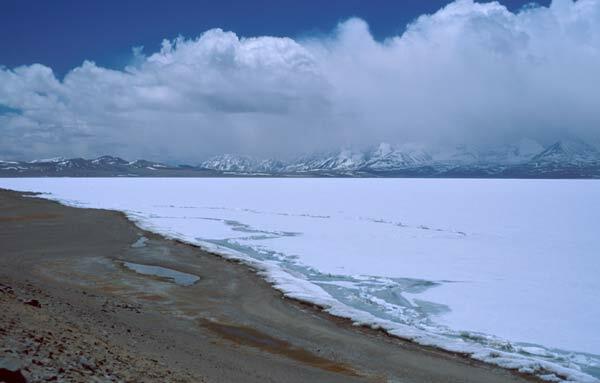 It offers spectacular views of one of the largest lakes in the area and leads over an additional high pass. The main road 318 over two passes: this route has a lot of traffic, and was under construction in 2005 - it will be paved soon.